A new major retrospective exhibition, Charlie Chaplin: A Vision, featuring our photographic archives will premiere at the Yuz Museum in Shanghai, China from June 8 to October 7, 2018. Conceived as an international project, Charlie Chaplin. A Vision was co-produced by the Musée de l’Elysée and the Yuz Museum, and curated in collaboration with the Cineteca di Bologna. Charlie Chaplin is the founder of modern comedy, one of most influential performing artists and film directors of the 20th century. His comical image with bowler hat, bamboo cane and small moustache is well known and deeply rooted in people worldwide. Receiving a Special Oscar in 1928 for The Circus and an Academy Honorary Award in 1972, Chaplin made an immeasurable contribution to the development of film in the 20th century. He himself was a famous pacifist and social activist. 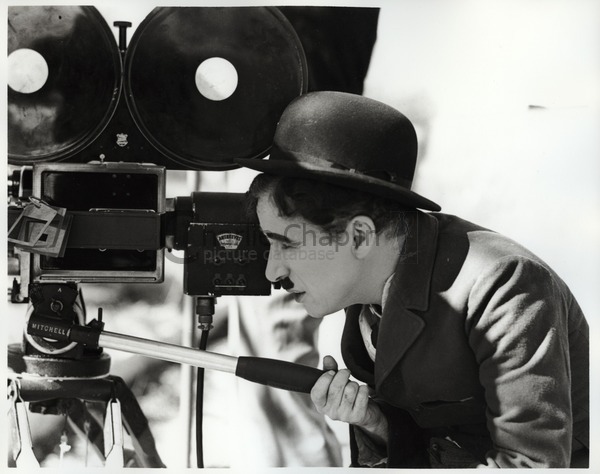 The Charles Chaplin photographic archive was entrusted to the Musée de l’Elysée in January 2011 by the Chaplin Association and Roy Export SAS. Some 20,000 negatives, prints and original albums cover 60 years of the professional and private life of the filmmaker. The collection includes photographs from film sets documenting the shooting of each film for the studios, photographs of scenes from films and promotional images, as well as travel albums and official portraits signed by well-known photographers such as James Abbe, Edward Steichen and Richard Avedon. Presented in chronological order, the exhibition’s aim is to help us to better understand the modernity of Charles Chaplin and of his timeless character by shedding a new light on their deep humanism. Who was Charles Chaplin? What had he seen of this world and how did it influence his art? What was he trying to transmit to us? How did the world and especially the artists of his time perceive the man and the tramp? How is he perceived by modern artists? The exhibition explores the reasons for his success, those that brought about and nourished his critical fortunes, and measures the role that the photographic image played in the prosperity of the legend. 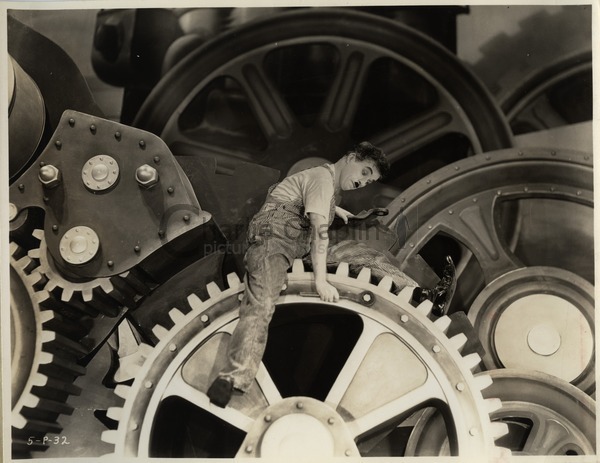 By taking a shot/countershot approach to his life and career, and by revealing the secrets of his cinematic language, the exhibition also attempts to re-evaluate Chaplin’s revolutionary artistic heritage. With over 300 photographs and documents from the Chaplin Archives and almost two hours of film clips, the exhibition also includes items from private collections and public institutions (original posters, videos, paintings, drawings, lithographs) that highlight the impact of the figure of Charles Chaplin on the production of international artists, from the avant-garde artists of the 1920s to today, such as Fernand Léger, Marc Chagall, Erwin Blumenfeld, Varvara Stepanova, Tony DeLap, C215 and Lita Cabellut. As reported in Variety, Altitude and Showtime have announced that they are teaming up in representing worldwide rights to Chaplin (working title), the upcoming second feature documentary from Peter Middleton and James Spinney, three-time BAFTA nominees for Notes on Blindness. Altitude is handling international rights for the film and is introducing the project to buyers at Cannes. Showtime has North American rights. Altitude has also acquired distribution rights to the film for the UK and Ireland. Chaplin is being funded by the BFI, awarding funds from the National Lottery, Film4 and Showtime. Further support comes from the BFI National Archive’s world-class collections and Chaplin’s World by Grévin. Chaplin’s World is a museum, housed in the historic ‘Manoir de Ban’ in Vevey, Switzerland where Chaplin lived for 25 years. It will act as a shooting location for sequences set during the latter stages of his life. Chaplin is both the ultimate rags-to-riches story and a revealing, poignant and definitive portrait of cinema’s most iconic figure. Groundbreaking, controversial, outspoken, visionary; for decades he was the most famous man in the world – but who was the real Charlie Chaplin? BAFTA-nominated filmmakers Middleton and Spinney have gained unprecedented access to Chaplin’s personal and creative archive, including a treasure trove of previously unknown material. Through unseen outtakes and newly unearthed audio recordings, Middleton and Spinney will chart Chaplin’s escape from an impoverished childhood in late-Victorian London to the bright lights of Hollywood at the dawn of cinema. But although his fictional alter ego the ‘Little Tramp’ brings him global fame and total artistic control, turbulent creative anxieties, successive personal scandals and a controversial political voice ultimately lead not only to the demise of his beloved character, but his rejection from America and self-imposed exile. Japanese Edition of "My Autobiography - Days of Glory, Days of Turmoil"
Further to the 2017 Japanese edition of the first volume of Charlie Chaplin’s autobiography, the second and final volume has just been released by Shinchosha Publishing Co., Ltd. Available on the publisher’s website. French radio program Si loin Si proche on Radio France Internationale (RFI) aired a special edition on Chaplin on December 23rd, 2017. Podcast available on iTunes. We are delighted to announce our NEW official e-shop with t-shirts, tote bags, art prints and other fun, high-quality and affordable Chaplin merchandise. The web store is operated and managed by our new UK licensee Star Editions (agent Greenlight Rights). They deliver worldwide to Chaplin fans everywhere. Be sure to follow our Facebook page closely for FREE giveaways from Star Editions every day during launch week!